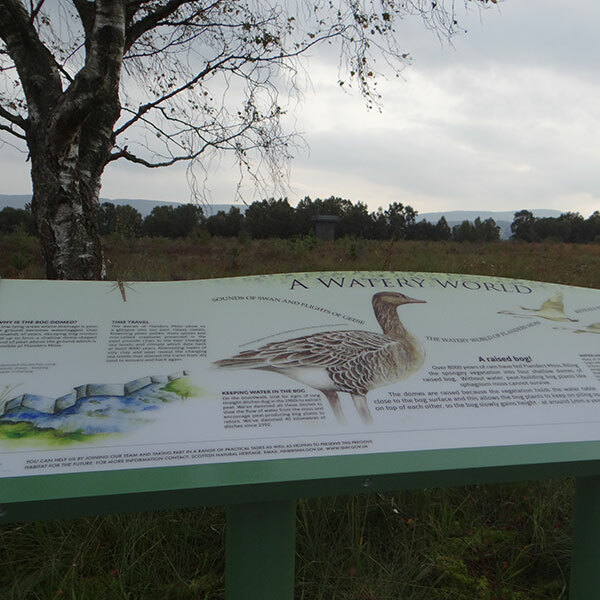 Flanders Moss is a vast expanse of all things damp and wonderful. From a distance you can make out the perfectly formed domes of peat as they rise gently from their surroundings. Closer up, squelchy mats of sphagnum moss carpet the reserve with their swirling colours, whilst adders and lizards bask in the sunshine. Listen out for the distinctive calls of snipe and stonechat or feel the slight shudder of the peat as it quakes beneath your feet. Our role was to interpret the needs of the site and write the text and interpret the Interpretation Management Plan. We also illustrated the panels with wildlife, historical and management subjects. The resulting panels were produced in GRP. 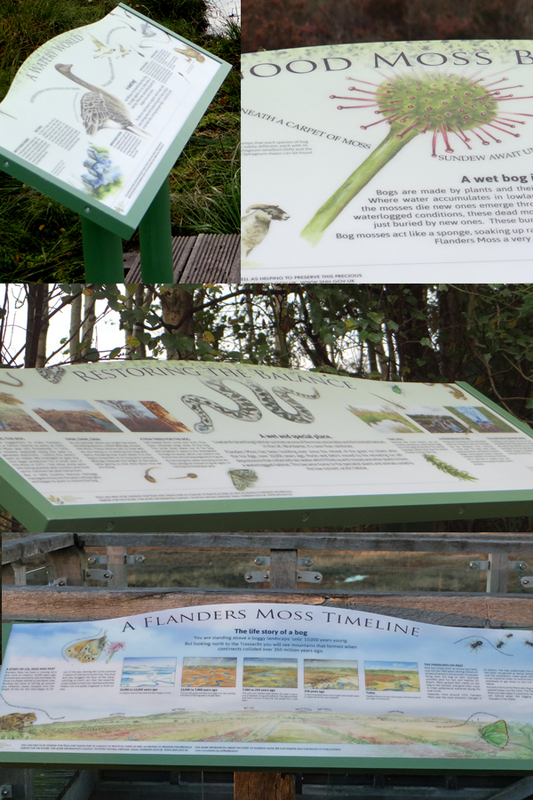 We have subsequently produced follow up panels describing the landscape of the bog so that the view can be viewed from the top of the Viewing Tower - this describes the geological changes of the bog since the Ice Age showing the changes of land use over time.